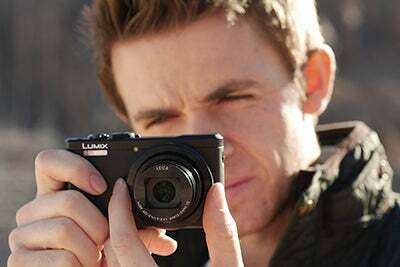 Panasonic has started 2014 with a bang by unveiling several additions to its Lumix family of compact cameras. The Panasonic Lumix TZ60 and TZ55 are two pocket-sized premium compacts with ultra-wide angle zoom lenses that bring a number of new features to the Lumix series. The Panasonic Lumix TZ60 is, Panasonic claims, the world’s slimmest premium digital compact camera, with an 18.1MP MOS sensor that delivers an ISO range of 100-3200, which is expandable to ISO 6400. Infront of the lens , the Panasonic Lumix TZ60 is equipped with a 24mm Leica DC Vario-Elmar lens with a 30x optical zoom that’s equivalent to 24-720mm. It has a variable aperture of f/3.3-f/8, with a control ring on the lens barrel also allows for near-instant control of either exposure, aspect ratio, sensitivity, white balance or the zoom. 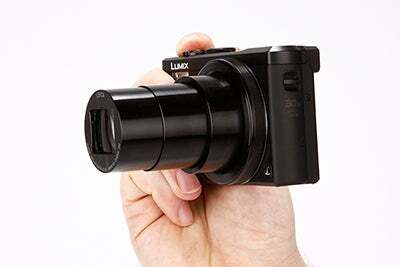 The Panasonic Lumix TZ60 also features an electronic viewfinder, which Panasonic says will allow for stable framing even when using the ultra zoom lens at full capacity. It boasts a 100% field of view and a 200k-dot resolution. Panasonic has augmented its Power OIS with a new Hybrid OIS+ system, a 5-axis for of correction designed specifically for video, which the TZ60 shoots in full HD at either 50fps or 25fps. Level Shot function detects the horizontal line of the image being recorded and keeps it level even when the camera is being tilted. In addition, the TZ60 becomes the first TZ model in Panasonic’s range to fully support the highly versatile Raw format and is warmly received. 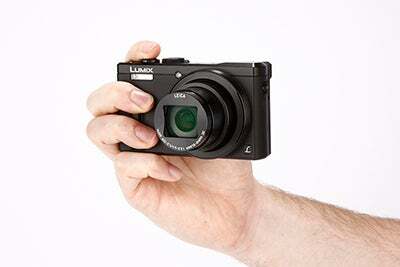 The TZ60’s sister model, the TZ55, also boasts a first for the Lumix series: a tiltable LCD screen. Able to flip up to 180 degrees, and coming with accompanying Self Shot and Soft Skin modes, the screen is perfectly designed for the selphie enthusiast. 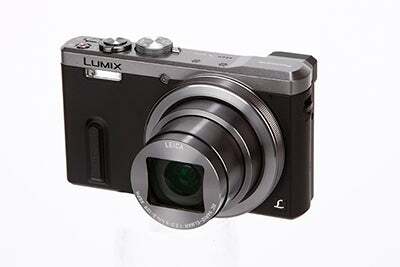 The Panasonic Lumix TZ55 also comes with a 24mm Lumix DC Vario lens with a 20x optical zoom. Like the TZ60, the zoom is digitally extendable, to an equivalent of up to 40x with Intelligent Resolution and Intelligent Zoom. Like the Lumix TZ60, the Panasonic Lumix TZ55 can shoot at a maximum speed of 10fps in burst mode, and has a quick start-up time for capturing swift, spur of the moment opportunities. 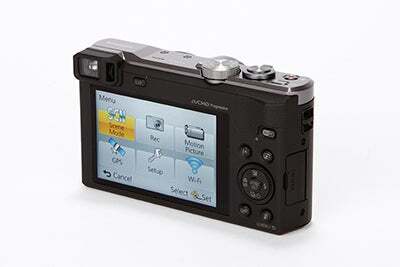 It comes equipped with a MOS sensor sporting a 16.1MP resolution and is capable of capturing full HD video. A motion picture button on the top of the body will instantly start recording video. The Panasonic Lumix TZ60 and TZ55 both run on the Venus Engine image processor, featuring a Noise Reduction system for low-light shooting at high ISO. Both cameras also have integrated Wi-fi, Near Field Communication (NFC) and GPS, allowing for instant image sharing and remote shutter control with smartphones and other devices. There are a number of Creative Control stylistic filter functions available on both cameras, and shooting modes such as Face Detection. 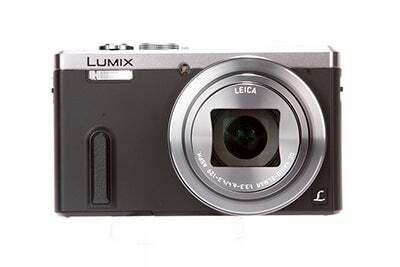 The Panasonic Lumix TZ60 is expected cost in the region of £399 at the time of launch.